You are here: Home > US newborn death rate tied with Qatar? Not exactly. US newborn death rate tied with Qatar? Not exactly. Babies in the United States have a higher risk of dying during their first month of life than do babies born in 40 other countries, according to a new report. Some of the countries that outrank the United States in terms of newborn death risk are South Korea, Cuba, Malaysia, Lithuania, Poland and Israel, according to the study. The truth is that they are neither. What is shocking, however, is the propensity for the mainstream media to misinterpret scientific papers. The paper, Neonatal Mortality Levels for 193 Countries in 2009 with Trends since 1990: A Systematic Analysis of Progress, Projections, and Priorities, appears in this month’s issue of PLoS Medicine, a journal published by the Public Library of Science. 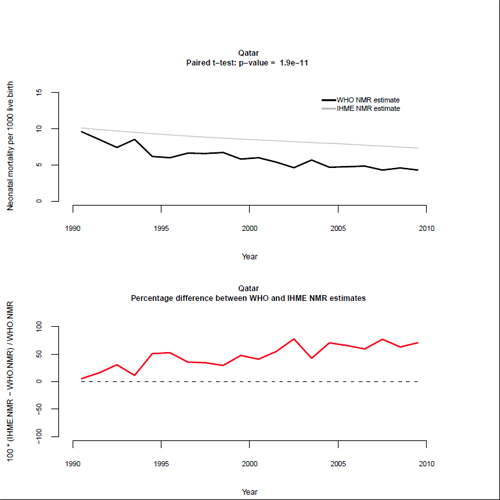 The goal of the paper is to track TRENDS in neonatal mortality over the last two decades. It is not to compare inter-country variation since almost all the statistics in the paper are mathematically modeled estimates, with a significant degree of uncertainty. Of the 193 countries that the study reviewed, only 38 have records that can accurately assess neonatal mortality. The authors MODELED the neonatal death rates for fully 155 countries. The models are extremely useful in that the same method was applied across estimates throughout the fully two decades. Therefore, the models accurately represent TRENDS in neonatal mortality, which, of course, was the purpose of the study. The models are not accurate for comparing intercountry variation, particular variation between countries with accurate neonatal mortality rates and countries with modeled rates. In other words, though the modeling method allows for useful comparisons across time within an individual country, there is tremendous uncertainty in the absolute value of neonatal mortality rates and therefore, we don’t know the actual rates of neonatal mortality in those countries. If we don’t know the actual rates of the countries for which results were estimated, we cannot directly compared mortality rates among countries if they are relatively similar. What does that mean for the comparison of the US with Qatar? We don’t know what the Qatar neonatal mortality rate is. In fact, the paper supplies a graphs for each country, showing the difference between various methods of modeling neonatal mortality. What’s the neonatal mortality rate for Qatar? 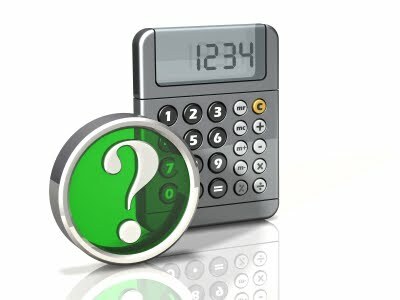 According to this method of estimating, in 2010 it was approximately 4.5/1000. But according to the World Health Organization estimate for the exact same year, it is approximately 7/1000. How about the neonatal mortality rate for the US? According to actual data (not an estimate), the US neonatal mortality rate in 2010 was 4.25/1000. Is the US neonatal mortality rate the same as Qatar’s? 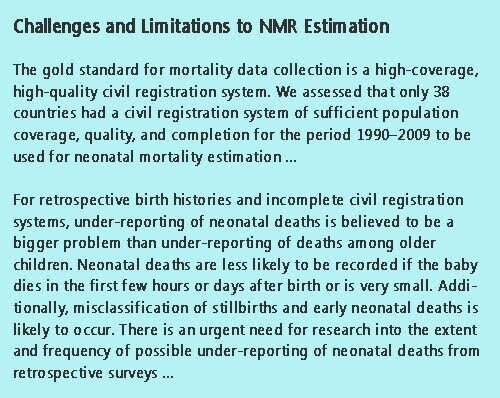 Almost certainly not, since, as the authors take pains to stress, any estimation method underestimates neonatal mortality. What about comparisons of neonatal mortality between countries where the rates are calculated from actual data, not estimates? In those cases, the comparisons are potentially more valid because there is no estimation error. But that’s not the whole story. Different countries calculate neonatal mortality differently. The US counts every liveborn baby who subsequently dies. In the Netherlands, however, in order to improve the neonatal mortality statistics, very premature babies are classifed as born dead (stillbirths) even if they are born alive. Therefore, very premature babies, the babies who are most likely to die, are artificially and inappropriately removed from mortality calculations. That’s why The World Health Organization recommends perinatal mortality (neonatal mortality + stillbirths) as the best measure of obstetric care, since it is not susceptible to such sleight of hand as counting live babies as dead. Even taking that into account does not tell the whole story, because race is a major risk factor for neonatal mortality. Women of African descent have neonatal mortality rates nearly 3 times higher than that of other races, and that finding is independent of economic status. It is regrettable, therefore, but hardly surprising that “whiter” countries have lower neonatal mortality than the US. The US does not have the lowest neonatal mortality rate in the world, and we certainly have plenty of room for improvement. However, inter-country comparisons, like those currently being reported in the mainstream media, are fundamentally inaccurate and misleading. ← What should Navelgazing Midwife call herself now?